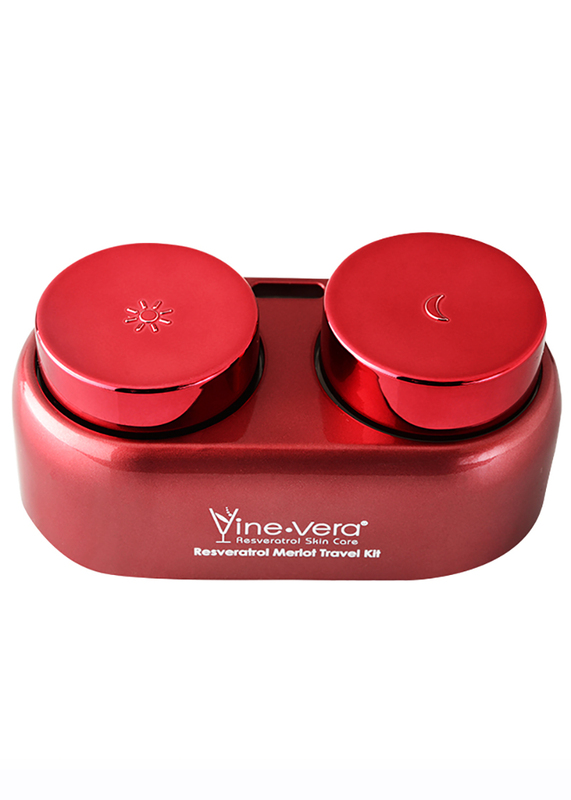 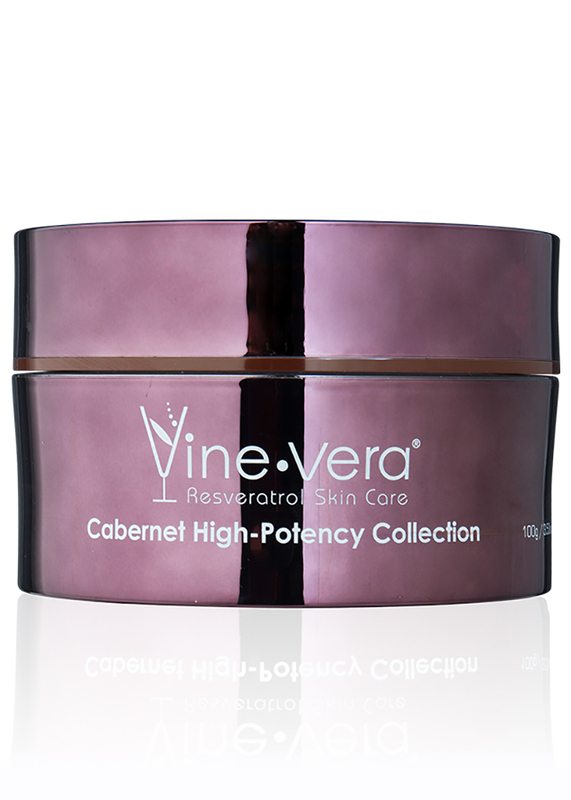 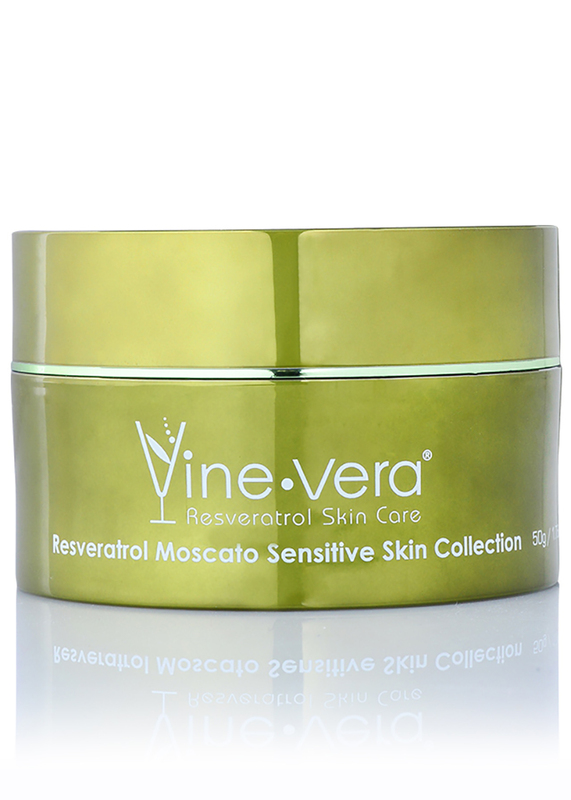 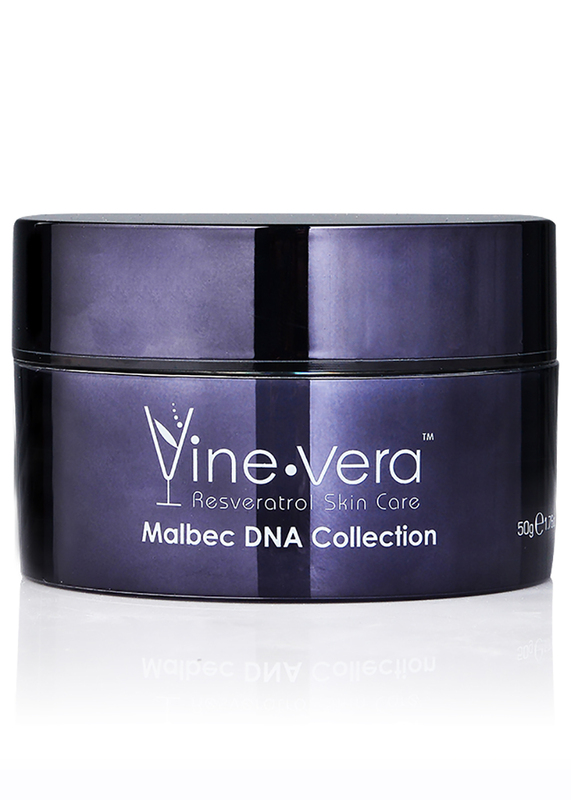 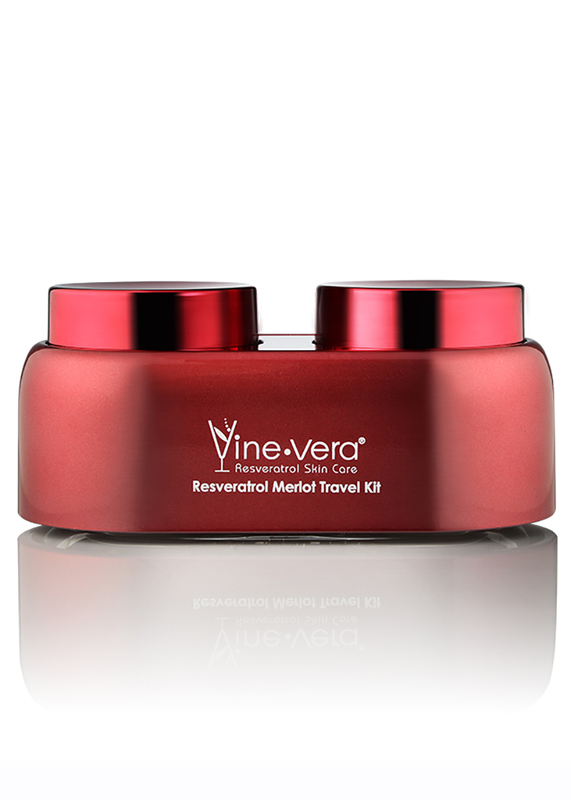 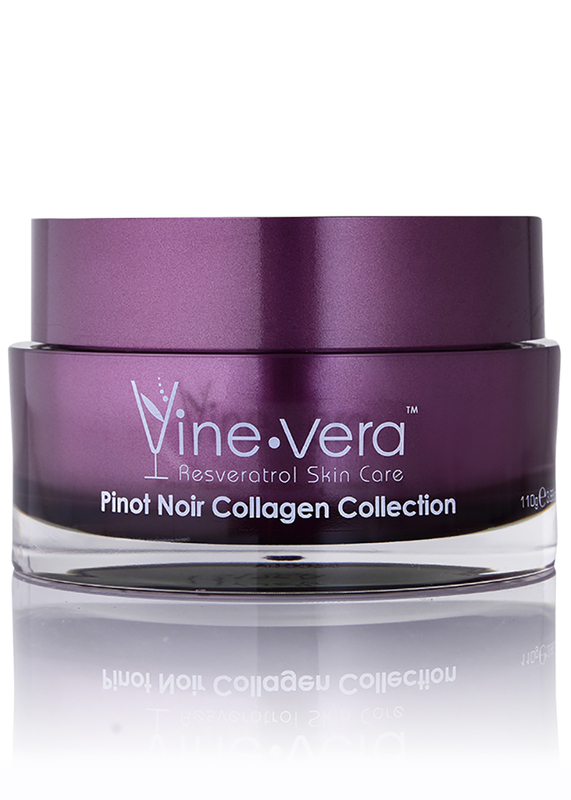 Resveratrol Merlot Travel Kit - Vine Vera U.K. 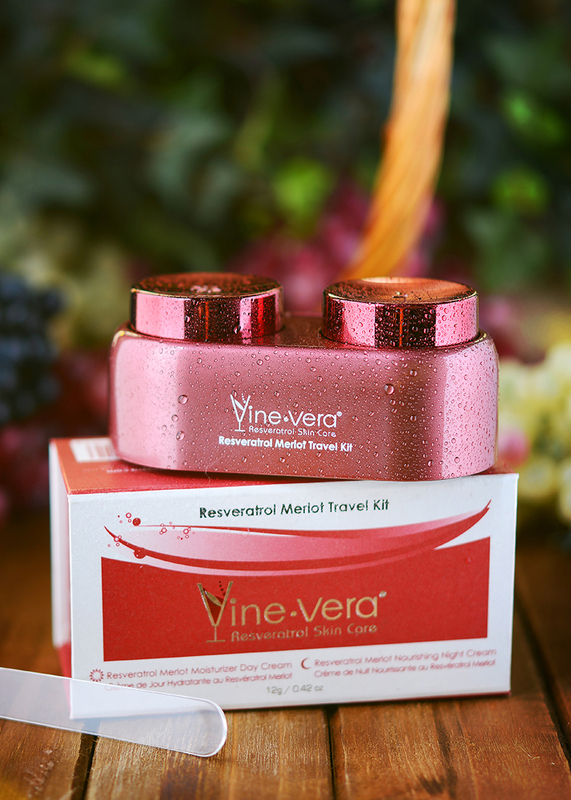 The Resveratrol Merlot Travel Kit features a day cream and a night cream to provide 24-hour care to weary, traveling skin. 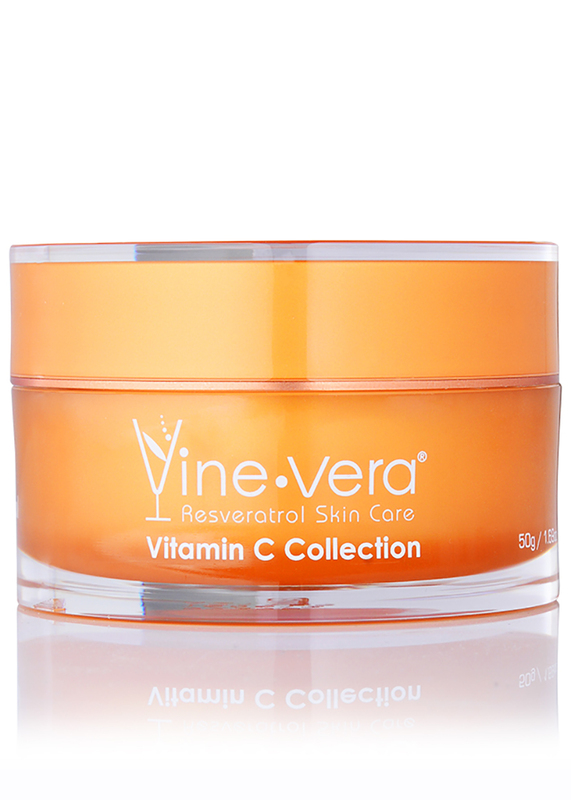 Each moisturiser is infused with a potent blend of resveratrol, shea butter and sunflower seed oil to deliver optimal skincare benefits to the skin while protecting it from moisture loss. 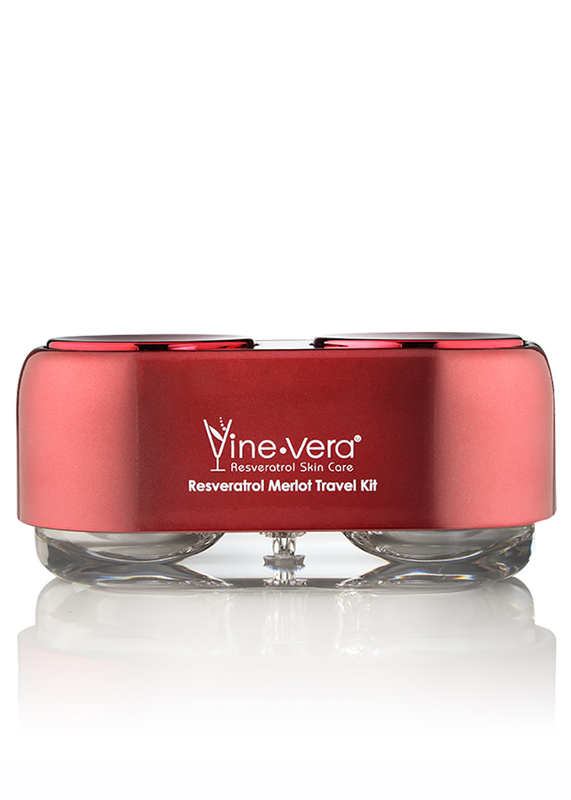 Each product is 0.42oz, making it easy to pack and carry through airport security. 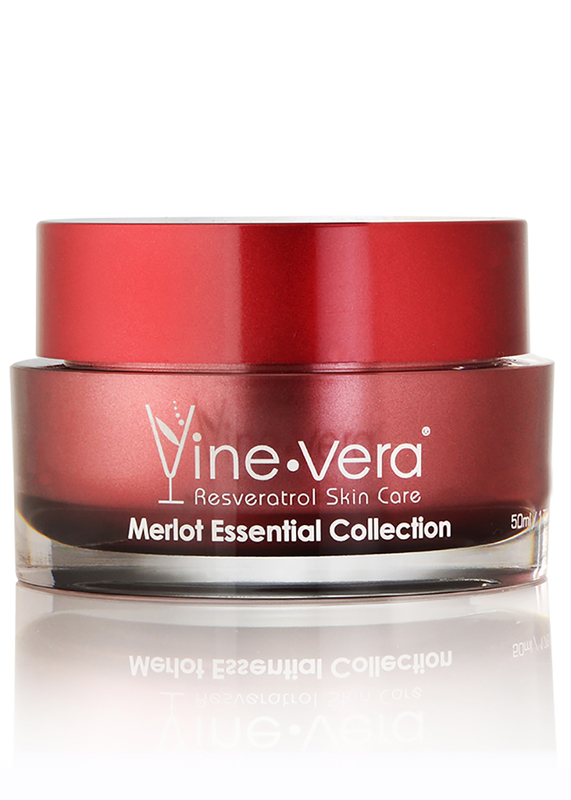 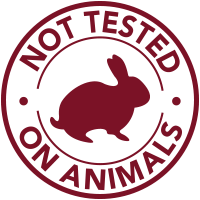 In the morning, apply the Resveratrol Merlot Moisturizer Day Cream directly to freshly cleansed skin. 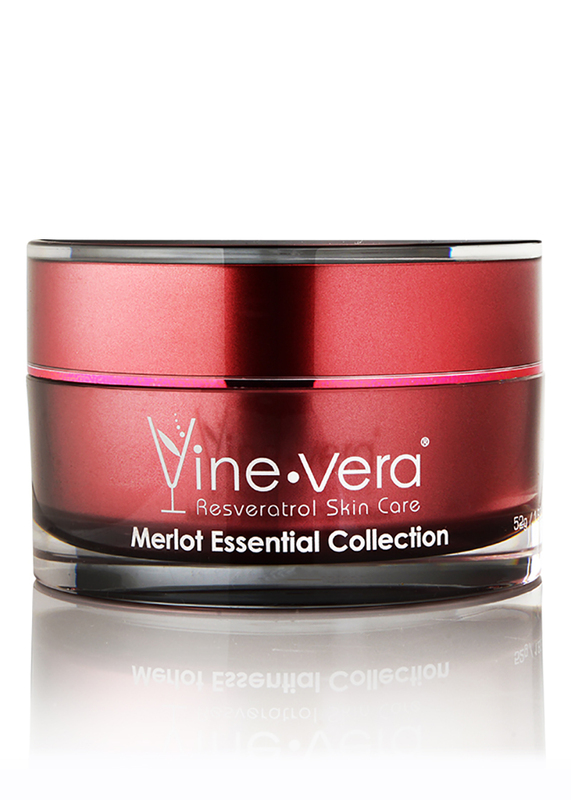 In the evening, apply the Resveratrol Merlot Nourishing Night Cream directly to clean skin.